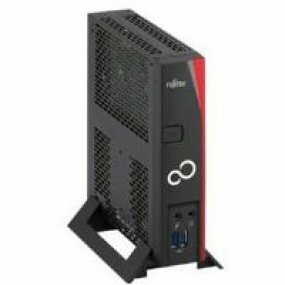 For optimized server-based computing or desktop virtualization, choose customizable Fujitsu FUTRO Thin Clients. Every device in the range is designed and engineered to help you ensure performance, security, easy manageability and cost-effectiveness. They also deliver significantly lower TCO over their long lifecycle compared with a standard PC. Plus, ease-of-use, standardization and quiet operation ensure maximum user comfort. Scout Enterprise is the multi-user capable manageability tool which perfectly operates and manages an unlimited amount of devices with high levels of scalability. Scout Enterprise guarantees secure updates for a complete Thin Client architecture and offers numerous extensive help-desk functionalities. eLux™ is the universal Thin Client operating system which is available for the x86 and SoC-architecture, beyond that it offers high levels of security. Therefore, both solutions Scout Enterprise and eLux™ optimally match the stringent requirements of enterprise IT operations.